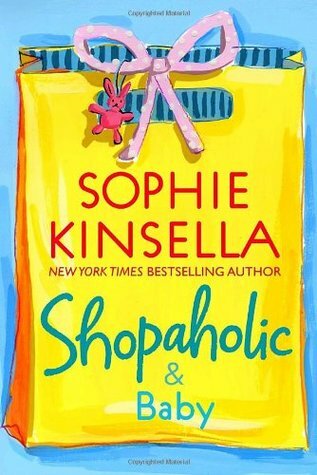 Sophie Kinsella first hit the UK bestseller lists in September 2000 with her first novel in the Shopaholic series The Secret Dreamworld of a Shopaholic (also published as Confessions of a Shopaholic). The books heroine, Becky Bloomwood a fun and feisty financial journalist who loves shopping but is hopeless with money captured the hearts of readers worldwide. Becky has since featured in seven further bestselling books, Shopaholic Abroad (also published as Shopaholic Takes Manhattan), Shopaholic Ties the Knot, Shopaholic & Sister, Shopaholic & Baby, Mini Shopaholic, Shopaholic to the Stars and Shopaholic to the Rescue. Becky Bloomwood came to the big screen in 2009 with the hit Disney movie Confessions of a Shopaholic, starring Isla Fisher and Hugh Dancy. Sophie has also written seven standalone novels which have all been bestsellers in the UK, USA and other countries around the world: Can You Keep A Secret?, The Undomestic Goddess, Remember Me?, Twenties Girl, Ive Got Your Number, Wedding Night, and My Not So Perfect Life, which was a Goodreads Choice Awards finalist for Best Fiction in 2017. Sophies latest novel, Surprise Me, published in February 2018, presents a humorous yet moving portrait of a marriageits intricacies, comforts, and complications. Surprise Me reveals that hidden layers in a close relationship are often yet to be discovered.